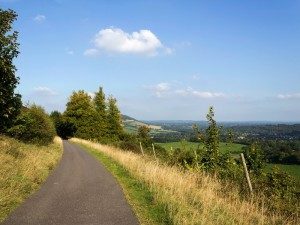 This is our backyard, and we love riding out into the Surrey and Sussex countryside. Plenty of good places to visit for the day or to stay overnight, all within easy reach of London and our base in Woking. There are some famous biker gatherings and ride-outs here too, most weekends – Box Hill, Loomies, the Meon Valley. 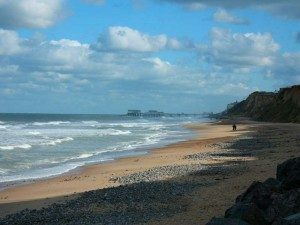 Further afield, you can head for the South coast beaches. Beautiful Dorset is less than two hours away via Stonehenge and the New Forest, and beyond you can explore rugged Dartmoor in Devon and the Duchy of Cornwall. 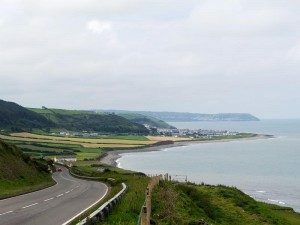 There are some outstanding rides out through Wiltshire, Gloucestershire and the Cotswolds – and once in Wales you are spoiled for choice: the southern coastal routes, the valleys, spectacular Snowdonia and the Isle of Anglesey. More open road than you can wind and sweep through in a long weekend. The east of England is another country, noticeably flatter, with big skies and peaceful, ancient villages. 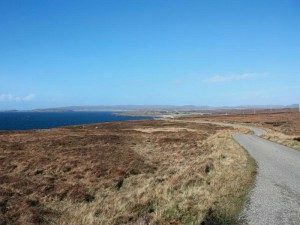 A beautiful and ancient landscape with mile after crooked mile of country roads, sweeping trunk roads and quiet coastline. Try to avoid the M1 and the M6 (except maybe the M6 Toll road, which gets you around Birmingham swiftly). 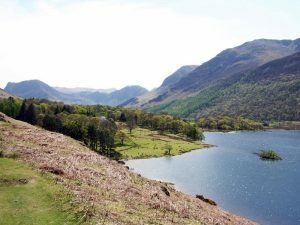 Instead, take a look at the A1, the A5 and the A6 among others – these older routes are less travelled, and offer some very fine two lane blacktop linking great and famous English cities through some of the best countryside in the Country, with highlights such as the Peak District in Derbyshire and the Lake District in Cumbria, in the North West. If you have a mind to explore the North East, the North Yorkshire Moors and the wilderness of the Northumberland Coastal route via Newcastle to Berwick will not disappoint either sports or touring riders. One of our favourite touring destinations. Highland and moorland routes, river crossings, the glens, the lochs, the mountains, coastal roads, island ferries and remote, deserted and spectacular country roads are what come to mind. Don’t forget your camera. Within easy reach by ferry from the North of England and South West Scotland, IOM is the home of the legendary TT and road racing festivals and well worth a visit at any time of the year to sample the 37-mile public road course around Snaefell Mountain, which the racers lap at over 120 mph. 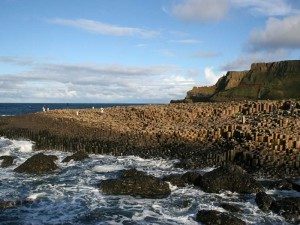 Northern Ireland has beautiful countryside and a spectacular coastline. There are many fine rides, so we are told, though we have not ridden there ourselves – a treat in store, for sure – and undoubtedly a great way to begin a Pan-Irish tour – pack your Euros and enjoy Cead Mille Failte, a hundred thousand welcomes, in Eire, the Republic of Ireland.